For borders, beds and bouquets that pop, add Grateful Red to the garden! 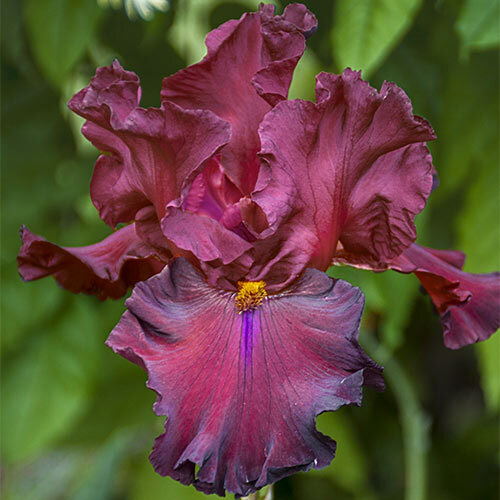 An outstanding award winner, this classic, softly ruffled iris features a rich red color with hints of brown and maroon for greater depth, and golden-yellow beards that accent the blooms nicely. A floriferous iris, it produces enough gorgeous blossoms to adorn both outdoor and indoor spaces with ease. Customers will love how the deep red color adds elegance and sophistication to cut-flower bouquets and fresh arrangements. They will also appreciate what Grateful Red does for back borders and cutting gardens. They naturalize nicely, coming back year after year.